I love to make fun and exciting meals at home for my family, but sometimes life gets in the way. I mean, an entire meal completely from scratch can take hours, and with two little girls, I just don’t always have the time. That’s why we love P.F. Chang’s Home Menu skillet meals, which help satisfy our mid-week craving without the hassle! My family gets that “from scratch” feel and I get hours back into my day! One of my favorite meal pairings is P.F. Chang’s Home Menu Beef with Broccoli and homemade yummy edamame salad! With P.F. Chang’s Home Menu we can easily throw an entree onto the stove while I take some time to make a fun side dish. By the time my side is done, my main dish has finished cooking and my family has a full meal ready to be served! 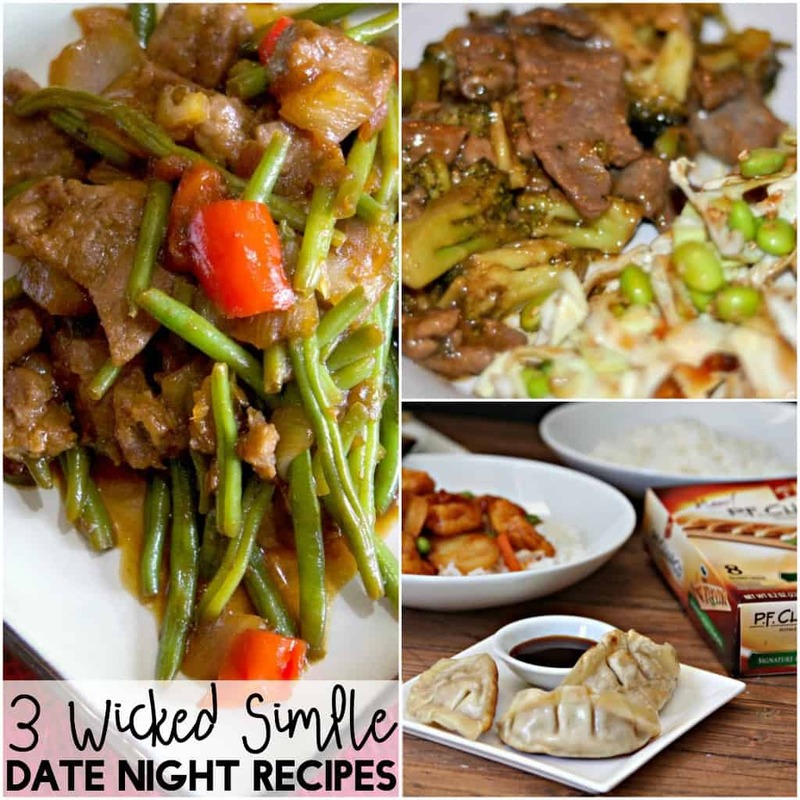 I love making their beef with broccoli and my yummy edamame salad on busy school nights when we’re craving good authentic Chinese food! P.F. Chang’s Home Menu lets us save money by not going out every time we get the craving for Chinese. And they just launched family sized skillets in January, giving larger households a convenient way to enjoy P.F. Chang’s at home. Family size varieties include Chicken Fried Rice and Orange Chicken. I can sit my whole family down for a meal and know that we’re getting quality family time in without it taking forever to cook a meal completely from scratch! 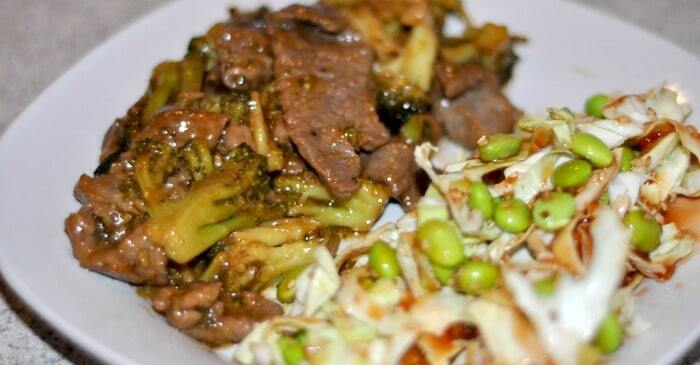 If you want to make this beef with broccoli and yummy edamame salad, grab some P.F. 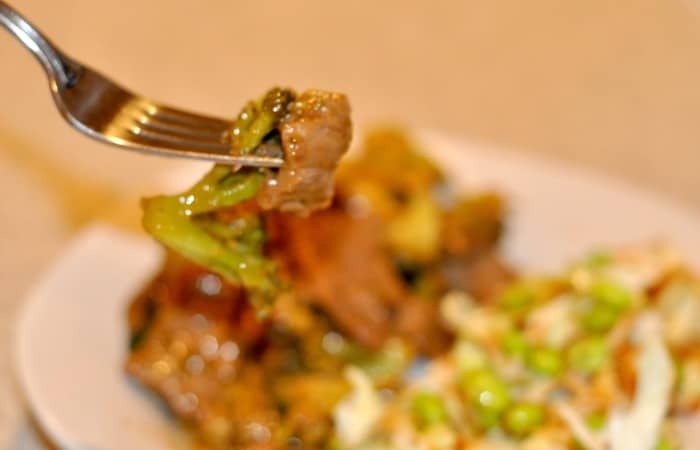 Chang’s Home Menu Beef with Broccoli from your local store and get ready to be impressed! Plus, you’ll want to save the pin below so that you can find this recipe for the yummiest edamame salad you’ve ever tasted! 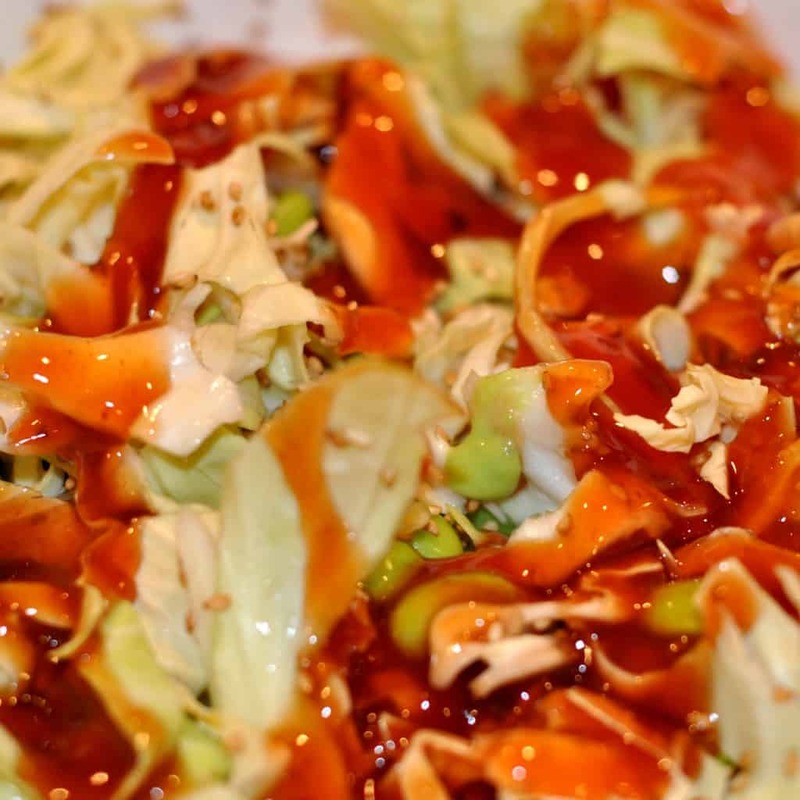 Place Cabbage, Edamame Beans, and Sesame Seeds into a salad bowl and toss. Top with Sweet and Sour Sauce and a Small Amount of Wasabi to taste. I’m also hosting a giveaway!